South Shore Estates is your gateway to luxury on the shores of Conroe Lake, near the towns of Montgomery and Conroe, Texas. Surrounded by calm waters, piney woods, and outstanding amenities, this gated community provides excellent access to nearby urban centers, and the recreational opportunities afforded by the lake. Make this your vacation home, retirement property, or move here today to begin your new life in spacious comfort and convenience. Find your new home in South Shore Estates. 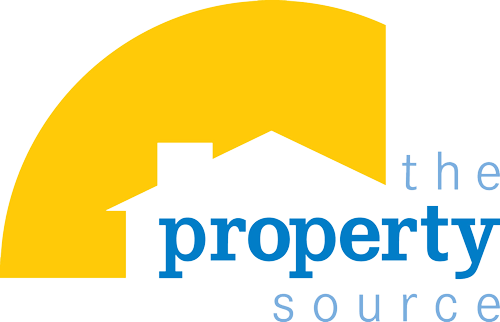 Search listings for South Shore Estates homes below, or continue reading to learn more about South Shore Estates properties! Homes for sale in South Shore Estates are medium to large-sized luxury homes with fantastic vacation-property features. Across lush green lawns, under swaying palms, facing sparkling waters, you'll think you've landed in Florida when you step onto one of these stylish properties. Most of the homes in South Shore Estates were built in the late 90s and average around 2700 square feet in size. A limited set of larger homes lie across from South Shore Estates' waterfront homes. These stately, luxury constructions lie on large lots with pools and many mature trees overhead. South Shore Estates waterfront properties boast private docks of their own. Other backyard features are large paved or deck areas, some extending all the way down to the water, barbecue areas, firepits, covered patios, pools, and hot tubs. South Shore Estates homes display grand facades with tall, arched porticos, many with large windows over the doors for lighting the soaring interior entryways. Entering these spaces, one is ushered into a spacious interior divided by soft arches and pillars between rooms with tile or hardwood floors. Here you may find interiors finished in a variety of elegant details, like tray ceilings, crown molding, wooden banisters, and raised-panel doors. Other interior details include cozy wood-burning fireplaces, luxury bathroom fittings, and kitchens equiped with stainless steel appliances. South Shore Estates homes are located in a small gated area bordering Lake Conroe in Montgomery County, Texas. The development can be found just off Highway 105, 20 minutes west of the town of Conroe. From Conroe, downtown Houston is another 45 minutes south along the I-45. The small town of Montgomery is a little over 5 minutes to the west. Between Montgomery and South Shore Estates there are numerous commercial options, including stores, banks, restaurants, and gas stations. Thanks to this convenient location, you can enjoy the beauty and serenity of Lake Conroe, all within easy travelling distance of everything else you might need - food, entertainment, and vital services. The biggest attraction in the area for South Shore Estates residents is definitely Lake Conroe. This large lake offers excellent opportunity for boating, fishing, skiing, or just a refreshing swim. The northern portion of the lake extends into the Sam Houston National Forest - a vast protected area of Texas piney woods, hosting campsites, trails, and a lot of wildlife.